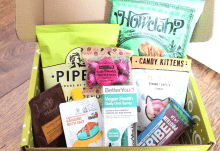 For the Classic box they work out at $39 (£27.70), $37, $35 , and $33 per month. 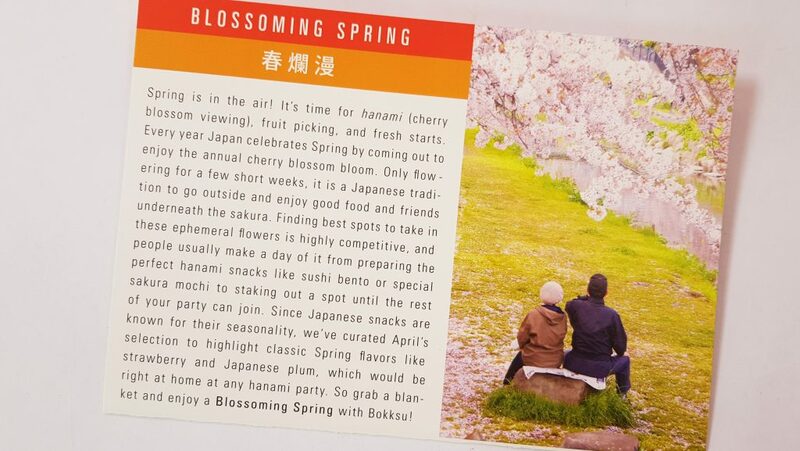 This month’s theme is Blossoming Spring, celebrating the start of the famous Japanese sakura season! 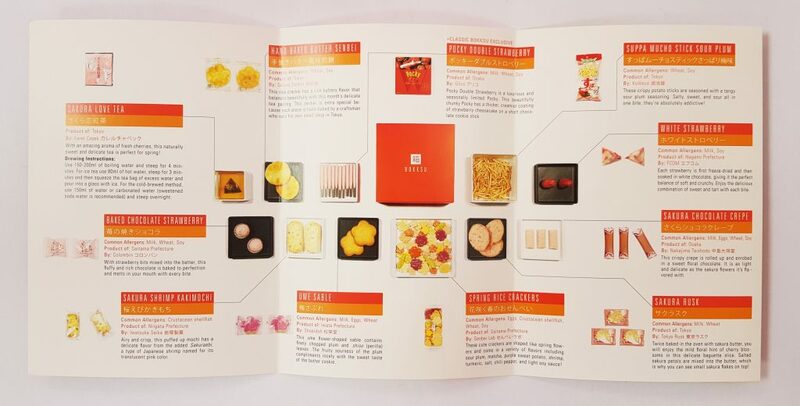 This lovely presentation box is shipped in a plain cardboard box so it stays looking very nice. 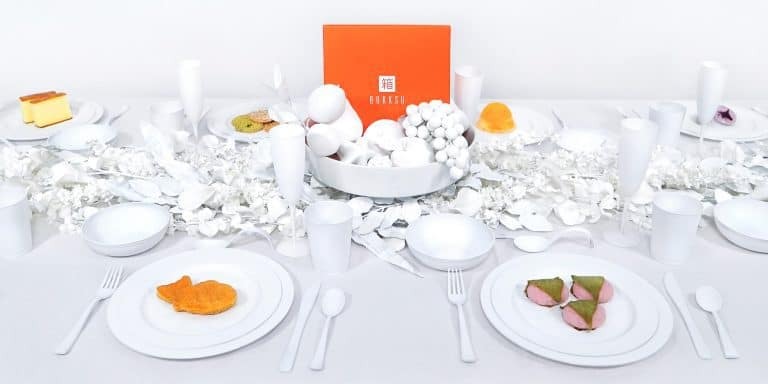 The menu is very well designed. 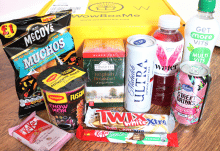 As well is details about each item, it also contains an allergen guide. This month’s tea is called Sakura Love Tea. It has a delicate fresh cherry scent, and can be drink hot or iced. These are Baked Chocolate Strawberry, a mixture of cookie and chocolate. It’s sweet and rich and crumbly, and it has little pieces of strawberry inside. Sakura Shrimp Kakimochi are puffed up mochi (rice cakes). 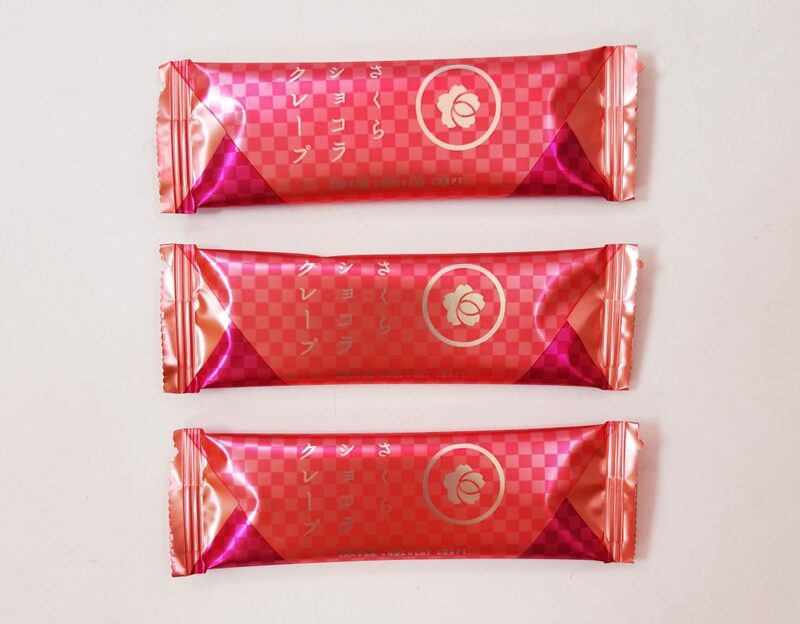 They are flavoured with a type of Japanese shrimp that is so named for its pink colour. Ume Sable are butter cookies which contain plum and perilla leaves. They are sweet, sour, and fruity. They are also a very pretty blossom shape. 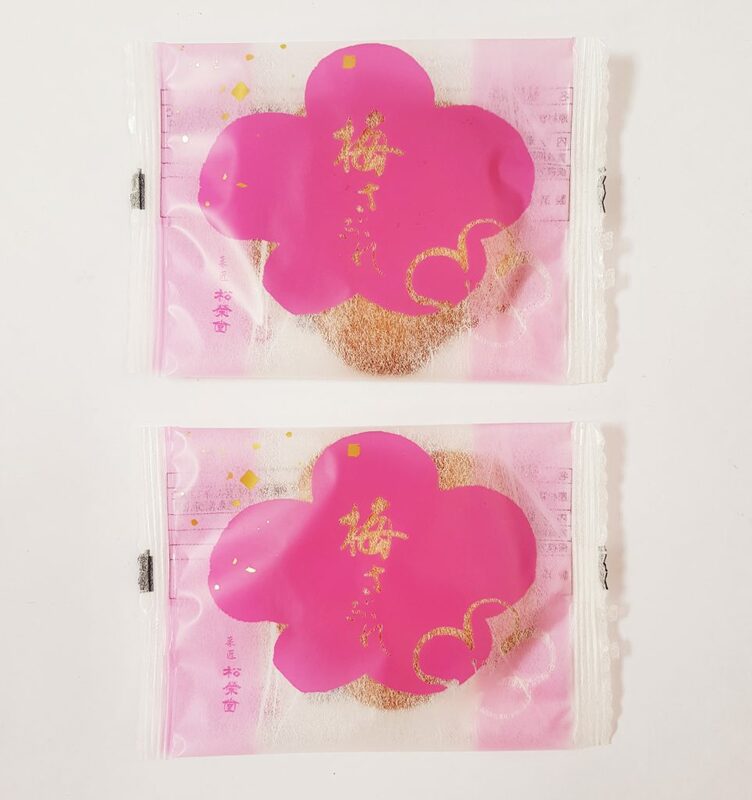 These Spring Rice Crackers look incredibly pretty! 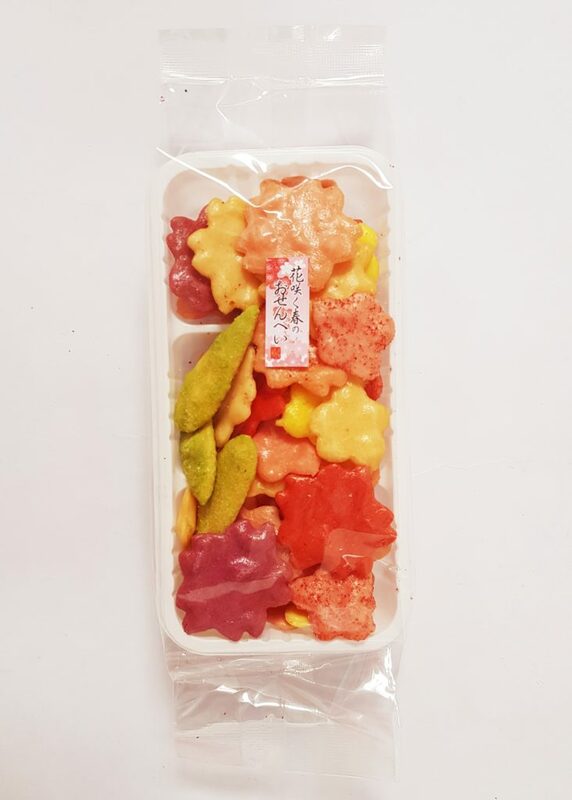 They are a mixture of different flavours, including sour plum, matcha, shrimp, and chili. 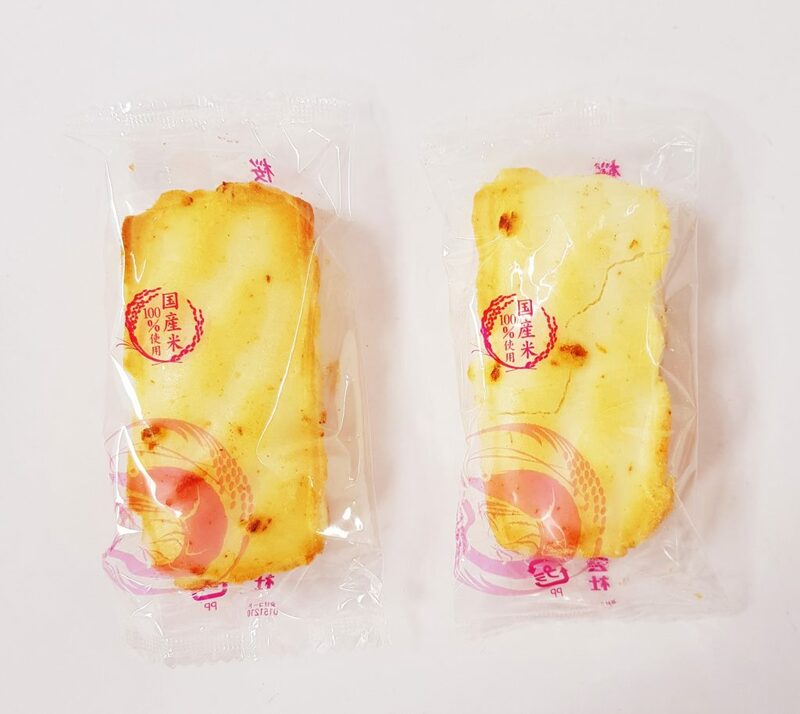 Rusk appears frequently in Bokksu, and this variety is Sakura Rusk. Rusk is twice-baked slices of bread with sugar and butter, and this variety contains real cherry blossom petals. 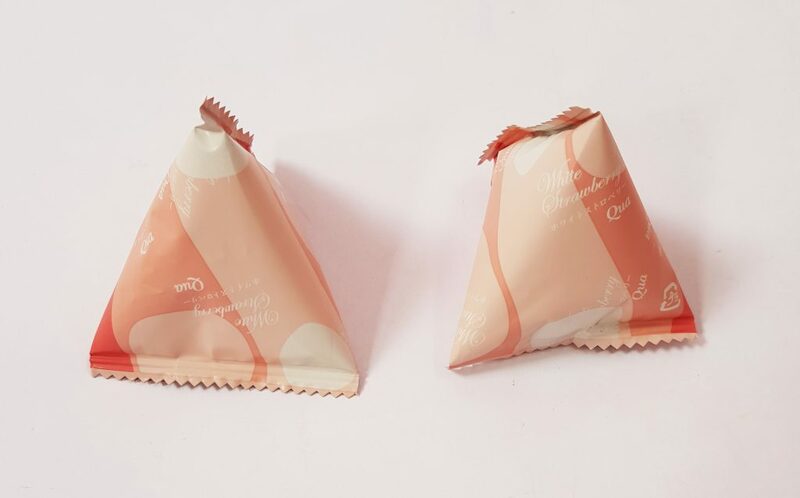 Sakura Chocolate Crepe are very thin rolled biscuit inside sakura-flavoured chocolate. They’re very light and crispy with a delicate flavour. White Strawberry is a luxury item. These are freeze-dried strawberries soaked in white chocolate. They are light but with a very intense flavour. These crunchy potato sticks are Suppa Mucho Stick Sour Plum. 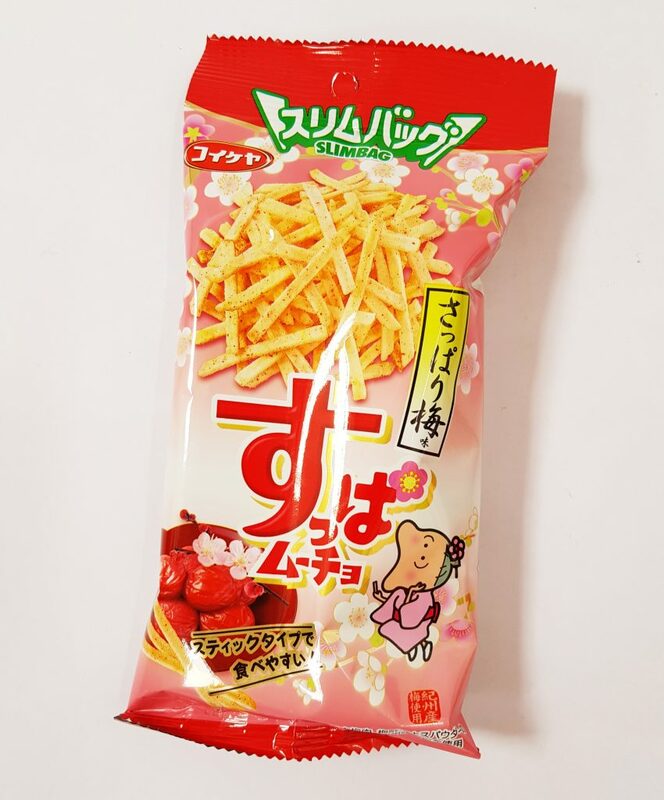 The sour plum flavouring is sweet, sour, and salty all at once, which sounds strange but are difficult to stop eating! 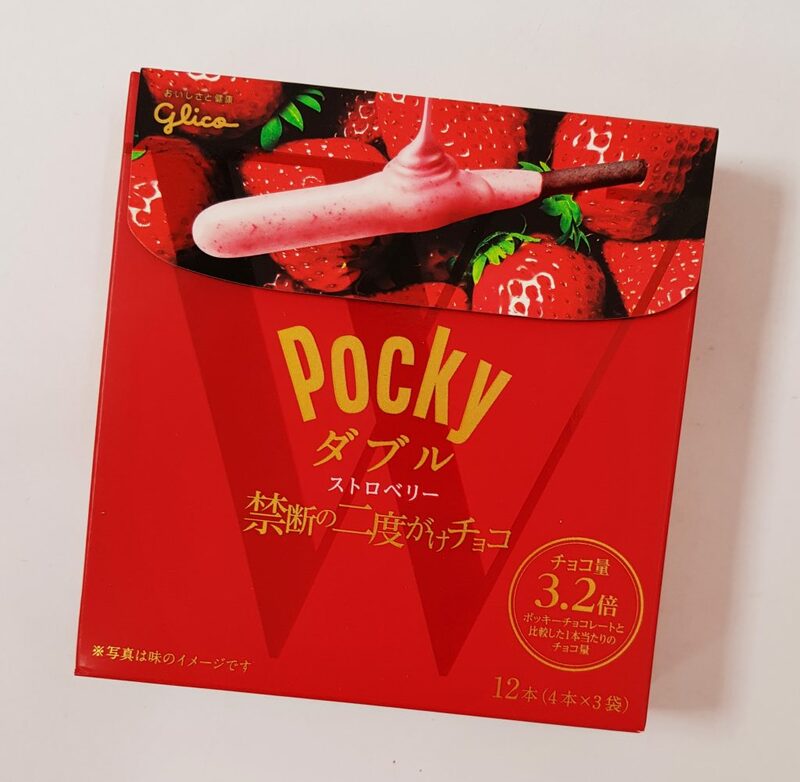 Pocky Double Strawberry are a luxury version of the famous Pocky biscuit sticks. This version has a chocolate biscuit stick and a double strawberry cheesecake coating. 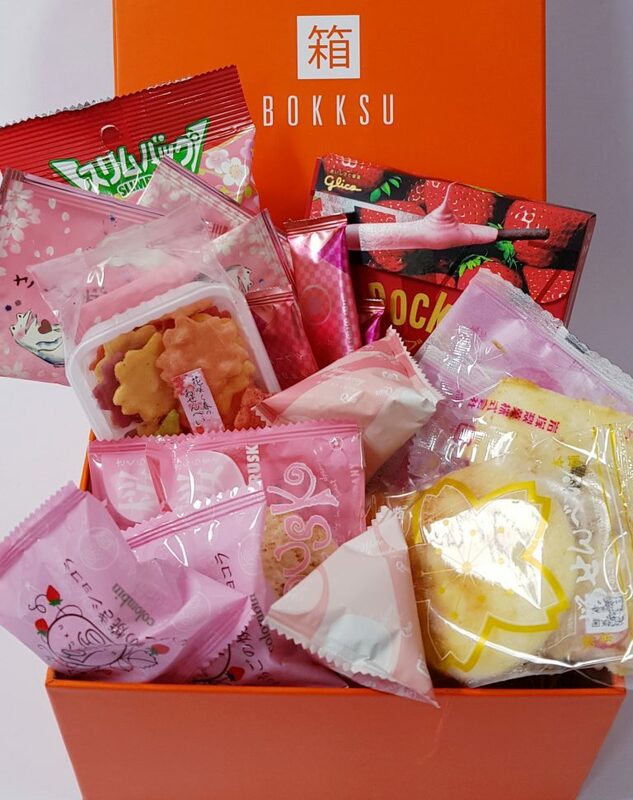 I’m so impressed there are so many sakura snacks! 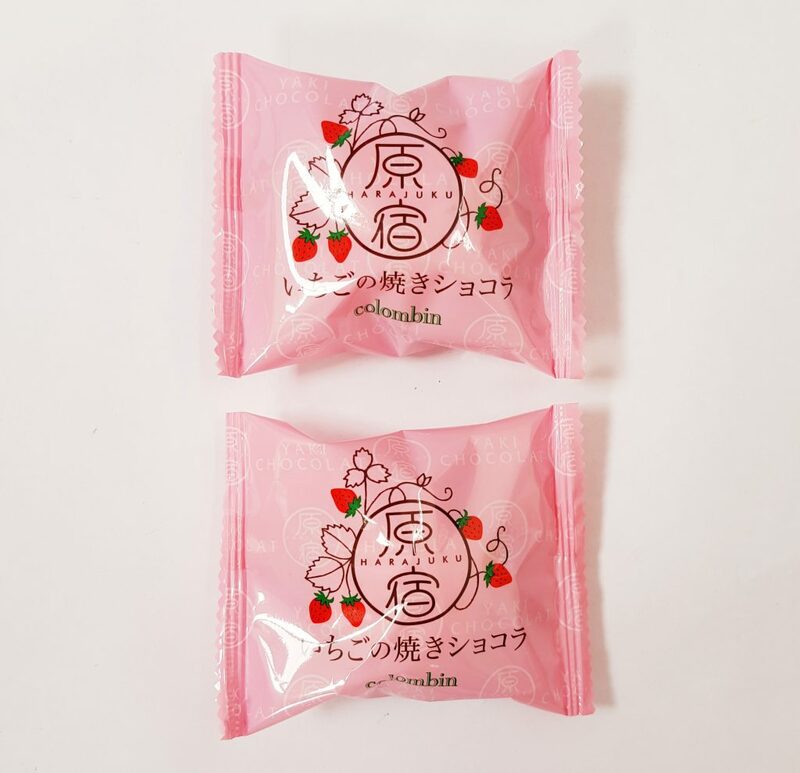 The cherry blossom flavour is so delicious, and totally unlike anything you can get elsewhere. I’m slightly sad that two of the items contains shellfish so I can’t eat them, but I know they’ll go to a happy home! Pocky is one of my favourite snacks, and this one is absolutely delicious. I also can’t find it on any UK site at all, so this is a really exclusive item. I always like having rusk, it’s very light and goes really nicely with a cup of tea. The plum cookies are also a great combination of flavours. The chocolate strawberries are really incredible, I’m saving the other one for a special treat! I like the exclusivity of all these items. It’s so interesting trying out all these different flavours, and I love being able to experience this famous season. This is the perfect way to enjoy the seasonal Japanese cherry blossom flavours! Cherry blossoms are such an important part of Japanese culture, and it's so wonderful to be able to experience it through food.